Heating preventive maintenance allows you to make sure that your furnace is ready for a cold winter. Imagine taking your entire family in a car trip without having your vehicle checked by a professional first. Or how about taking a plane that you know it was not inspected before flying. The same logic holds true for your heater. Regular heating preventative maintenance is the best way to ensure trouble-free operation and peak performance. Pre-season heating maintenance is also important. It can help to avoid a furnace failure in severe cold weather when you need it most, and it can also keep your energy bill from getting out of control. 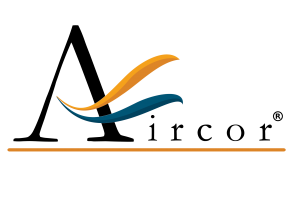 Our expert team can get your heating and air conditioning system installed and ready to go. We provide priority service and special discounts for customers who have an annual maintenance and service agreement. The Comfort Club is the premier preventative maintenance, it will ensure that your heater and air conditioner run as efficiently as possible and will allow us to prepare it for a cold winter or a hot summer. • Inspect flue system—check for proper attachment to the furnace, any dislocated sections, and for signs of corrosion. Replace if necessary. • Inspect control box, associated controls/accessories, wiring and connections. Controls may include contractors, relays, circuit boards, capacitors, sump heat and other accessories. All control box and electrical parts should be checked for wear or damage. Please call 773-800-1777 and let us make sure your system is ready for a long trip this coming winter. A heating tune up can help you to keep your system in good shape and to prevent future problems and unwanted costs. You could maintain your cooling system at peak performance by having Aircor Heating and Air Conditioning, Inc., do annual pre-season check-ups. Checking your cooling system during the spring helps you to get a more flexible schedule while during summer we are book most days, so it’s best to check the cooling system before hot weather hits. A poorly tuned heater can double operating costs as well as reduce comfort levels. As much as 80% of all heat exchanger failures could be eliminated if the problems leading to the failure were corrected in a timely manner. If a heater happened to carry a high static pressure by only 10% your operating costs can increase by almost 20%. 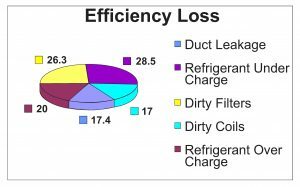 A dirty evaporator, air filter and blower can increase heating or heat pump electrical usage by 50% or more. Please call Aircor Heating and Air Conditioning at 773-800-1777 and let us make sure your AC cooling system is ready this summer. 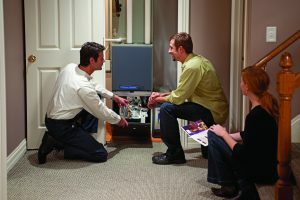 HVAC heating tune-ups are a necessity to keep your heating humming along. 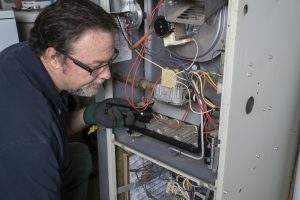 And as a matter of course heater tune-ups should be performed twice a year, particularly in the spring before the hot and humid days of summer arrive. If you’ve been lax about scheduling a tune-up for your heater, you could be caught unawares in the middle of a heat wave, when your heater has to work its hardest to keep your home warm. If it’s dirty and neglected and straining to heat your home, a breakdown is not surprising. If you’ve been operating your heating unit day and night, and not getting relief from the heat, check one of the supply registers by putting your hand above one of them. The chances are the air will feel warm. This is an indicator your heater is under-cooling your home, or maybe not cooling it, period. If you find the air is warm enough but the airflow is weak, this means warm air can’t spread throughout your home. Two reasons could be the cause of the problem: a leaky duct or a worn-out filter. Do you find the heating is shutting on and off too often? We’re talking about a span of a few seconds. When this occurs the heater is not able to remove excess moisture from the air, leaving you with humid and stifling air. The constant turning on and off causes more wear-and-tear on the heater components. Are you feeling too hot in one room and too cold in another? Aside from poor insulation, direct exposure to the sun, or windows that let in too much air, your heater might be the cause. If you discover an outdoor heater part that looks like it is leaking, the cause could be an obstructed or damaged drain tube. Although not considered a grave problem, the longer you delay getting it repaired, the more likely you will develop a mold problem. If you’ve had your heater a number of years you’ve become acquainted with how it should behave. Any deviation from the normal sounds of its operation should be a red flag you need a tune-up sooner rather than later. Typical sounds your heater is malfunctioning are squeaking, shrieking, scraping, or some sound that hasn’t shown up before. Irregular sounds demand you schedule an appointment for a heater tune-up immediately before a serious problem develops. If you are becoming aware of musty odors emanating from your heating, mold is growing in some unknown part of your heater. If you smell sharp or burning odors, the cause might be burnt-out wire insulation. The only way to take care of this problem is to call for a heating tune-up. The HVAC heating repair technician will know how to rid the heater of the odors and repair whatever has caused them. If you’re finding yourself needing to dust more frequently, it could be a dirty and under-maintained heating unit is at the root of it. When dirt and dust have been allowed to accumulate on the heating unit parts, the air blower will blow the built-up dust into your air. An HVAC heating repair technician can come out, and do a thorough cleaning of all the heating parts, which will have the heater running like new again.